*Disclaimer* My Monday definitely did not look like this, but more like sorting through emails, coffee between meetings and sitting in 5 o'clock traffic. It would've been so much nicer if it did! 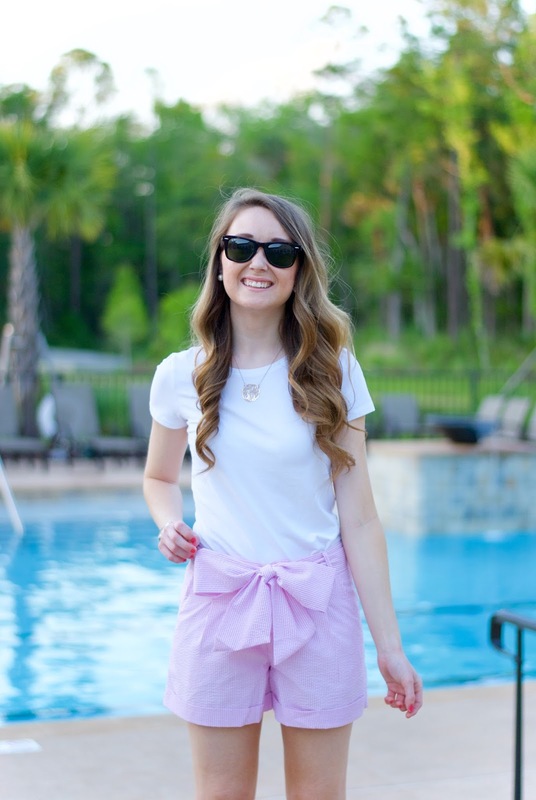 I think these bow shorts my friends at Lauren James sent over are the cutest and oh so comfy for summer. 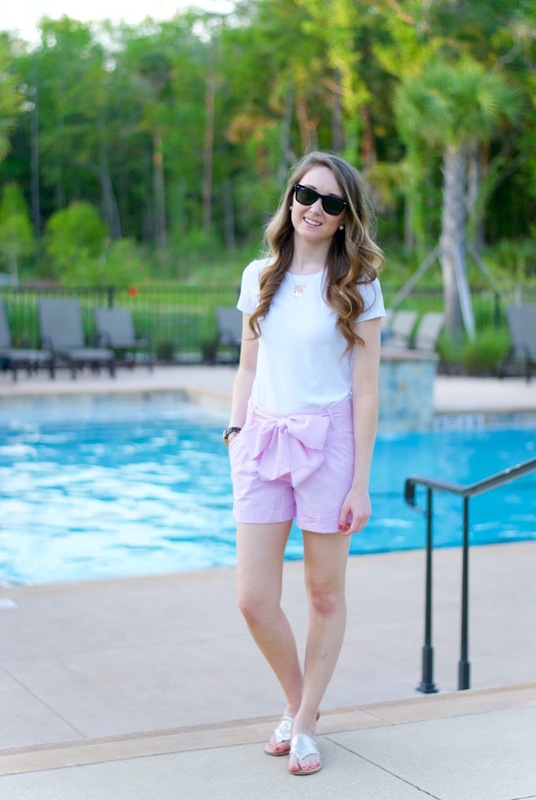 Paired with a basic tee and sandals, it's an easy go-to look for the hottest of days, especially Memorial Day weekend! 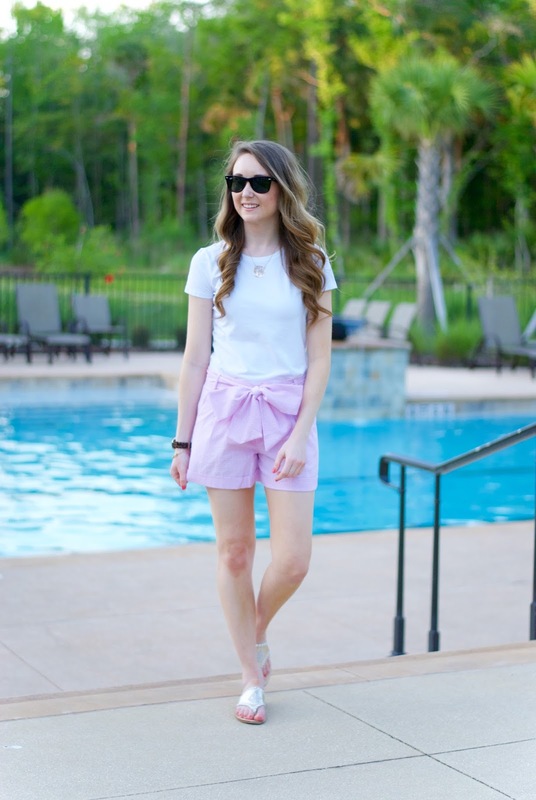 Those shorts are so stinkin cute! Love these shorts!! Need to pick up a pair asap! Love the big bow! So darling! haha, love the title and this outfit. 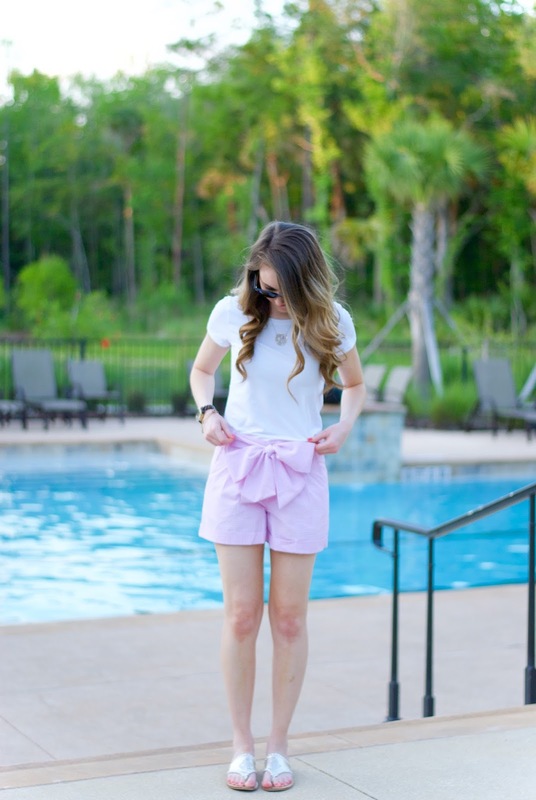 I really like the soft tone pink in those shorts. Thanks for sharing. 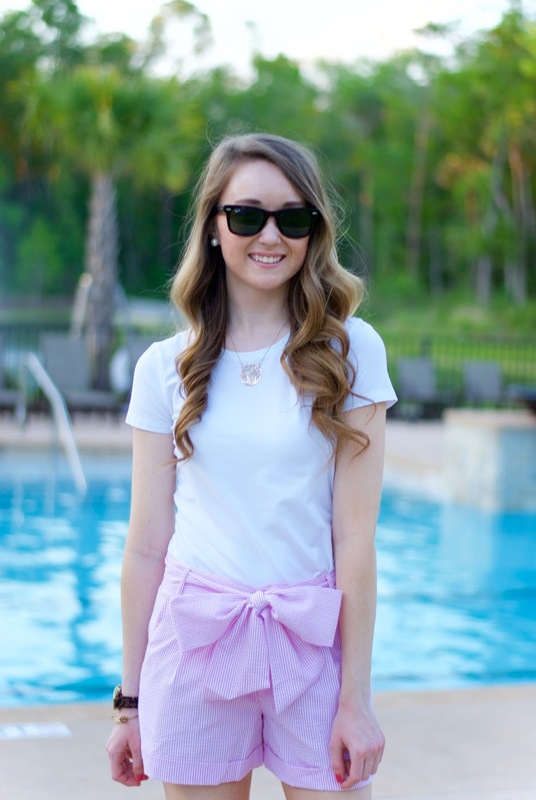 These shorts are so cute! I totally need them! Couldn't help myself. Anyways, I'm obsessed with these shorts and I think I need them in my life.